It starts with a mishap, then a cover-up. Before he knows it, Dominic Seeley, an editor in a London publishing house, is caught in an ever-widening spiral of deception – and falling for a girl way out of his league. Actress Nicola Carson is falling too – down the slippery slope from Hollywood to hell via rehab – while Edward Haymer has reached rock bottom already. A reclusive writer, his dreams of recognition are fading fast and when yet another rejection letter strikes a nerve, it triggers a chain reaction that could crush them all. 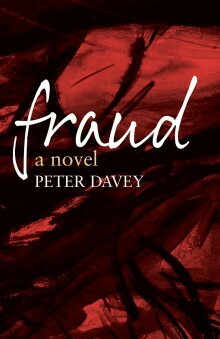 In this wry yet compassionate portrait of the ‘Age of the Unique Selling Point’, Peter Davey explores the dark road that leads to deceit and betrayal – but also, perhaps, to being more ‘alive for love’. Peter Davey is an artist and writer living in Winchelsea on the Sussex Coast.